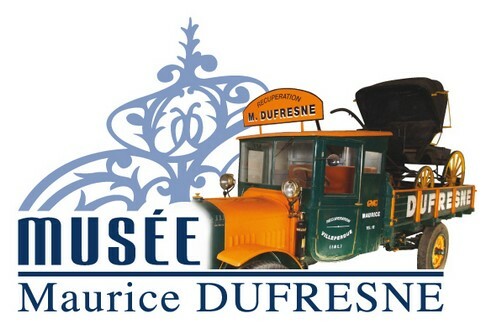 Classified by UNESCO, the collection created by Maurice Dufresne, a former farrier, is truly a wonderful world! To have time to see but also to understand the machines that you see, it is necessary to spend at least one day. The museum is open every day from March the 1st to November the 11th. From May to September: open from 09:30 to 19:00. Free or guided tour by appointment. A car park of 1000 places is present at the park entrance. A restaurant with 400 seats is present and a picnic place is organized in a shady area. The objects collected by Maurice Dufresne since he was 14 years old are exposed on a 6.7 hectares island, in 100 rooms on over 12,000 m?. In addition to numerous machines that present an obvious interest in history of techniques of mechanics, there are objects that evoke memories of great fun, such as gliders used in the movie 'La Grande Vadrouille'. It is sure that in some ways the Maurice Dufresne's collections found the brilliant mind of Leonardo da Vinci by the multitude of machines presented (Leonardo da Vinci is a Genius from the Renaissance who has lived in Le Clos Luce in Amboise, at about 50 km away), and in some other ways found the spirit of the Compagnons du Devoir, as was Maurice Dufresne himself. This collection truly unique will enthrall youngs and olders. For fans of history of techniques, it will be interesting to complete the tour of the park by, in the city of Tours, the discovery of the museum of the Companionship and of the Clos Luce in Amboise.